"assess today, so you can make wiser choices tomorrow"
Frailty doesn't simply happen, it slowly creeps up on a person, it has a stealth mode! That phrase makes frailty sound like some kind of monster from a horror movie but it's not intended to. The reason it is able to take us by surprise is because we are not aware, we are not looking out for it. Speaking frankly, we have so many other responsibilities to be on top of in our 40s, 50s and 60s that reaching our 70s feeling physically confident is not high on our priorities. But it should be. Because now, more than ever before, you are likely to reach your 80s and 90s. You have worked hard throughout your life and you probably feel you have earned or even deserve a break, a good couple of decades of enjoyment. We agree. ​So we admonish you... ASSESS YOURSELF! Figure out how you can give yourself the best opportunity of being physically capable in your later years. If you would like to find out more about completing a thorough assessment by one of our physiotherapists. Please complete the form on out 'CONTACT' page or give us a call. If you want just one test that gives a good idea of your overall strength, the hand grip strength test is the one to go for. When we conduct brief strength assessments at our events, this is the one we use. The only downside is that the equipment that gives accurate readings cost around £200. For a less accurate but helpful test, you can test your grip strength by using your analogue bathroom scales from home. a. Ensure you perform the test the same way each time with your elbows by your side and arms bent at 90º so the scales are held out in front of you. You can do this in either a seated position or standing. It doesn't matter which, just as long as you are consistent each time you test. b. hold the scales with both hands, one hand either side - your fingers on the bottom of the scales and your thumbs flat and extended on the top. c. squeeze with just one hand and take a reading. d. squeeze with the other hand a take a reading. The first squeeze is usually the strongest. ​This will give you a rough idea of where your overall strength is at. For this test, you will require a chair with arms that is 18-19 inches in height. a. Sit down, fold your arms across your chest and keep them there. ​b. Time how long it takes you to stand up (fully) and sit down as quickly as possible 5 times without stopping. DO NOT PERFORM THIS TEST ALONE IF YOU HAVE ANY DOUBTS ABOUT YOUR ABILITY TO REMAIN SAFE! Individuals that exceeded these times are considered to have worse than average performance. If your performance in any of the strength tests seems low, do not worry. Most people can improve their overall body strength by regularly using a considered and intelligent exercise programme which accounts for any physical challenges you may have. Speak to your doctor or physiotherapist if you have concerns in this area. When assessing your balance, it is crucial to take great care to look after your own ecology and safety. If you know you have poor balance, do not perform these test without the professional supervision of a physio or doctor. If you are unsure, do the tests while being observed by a friend or family member and always perform the test with something supportive either side of you. For example, you can do this test by standing with a wall to your right, a chair to your left which you can hold on to, a chair in front of you and your friend behind you if you lose balance. DO NOT PERFORM THIS TEST ALONE IF YOU HAVE ANY DOUBTS ABOUT YOUR ABILITY TO REMAIN STANDING! DO NOT PERFORM THIS TEST IN SHOES WITH HIGH HEELS - ideally you will be wearing flat shoes or no shoes. a. Stand with your feet together (touching) and place your hands on the sides of your legs, palms facing inwards. b. Hold this position for 10 seconds. a. 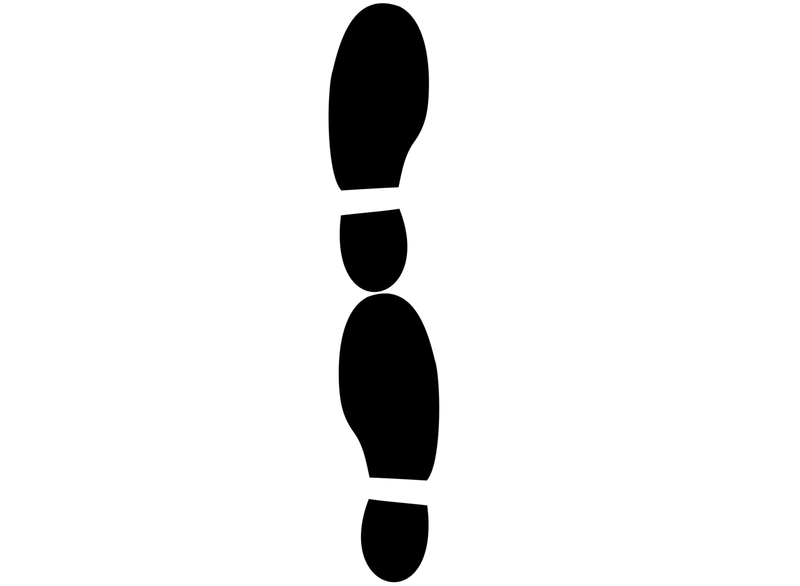 Stand with your feet together and then move one foot back halfway along the other foot, so the joint of the big toe on one foot is touching, and tucked into the arch of the other - see diagram below. b. Place your hands on your legs, palms facing inwards. d. repeat the test by changing which foot goes at the front and back. 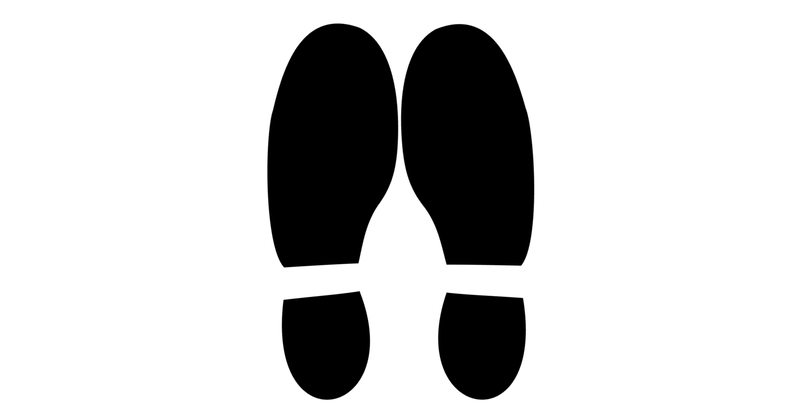 a. stand with one foot directly in front of the other, both feet pointing forwards, so that the toes of the back boot are just touching the heel of the front foot. c. repeat the test by changing which foot goes at the front and back. Did you find these tests really easy? If so, GREAT! Try making them harder by performing them with your eyes closed but don't forget to always ensure you are able to support yourself if you become unbalanced. If you found these tests difficult, you are not alone. As we mature, we spend more and more time in seated positions, sitting at our desks at the office, sitting at the couch at home, sitting in our cars. And when we get up off our backsides we walk along perfectly flat surfaces which demand little in the way of maintaining our balance. Practice these exercises daily, as you do, your body responds to the new test and begins to make changes to your motor-neurones in order to help you meet the demand. The way in which our bodies improve these fine motor skills is so elegant and beautiful, it takes your breath away. But it will only do that when you practice daily. Spending a couple of minutes on this task each day will bring improvement. Spending 20 minutes one day per week will not have the same effect. "If your spine is stiff at 30, you are old. If it is flexible at 60, you are young". While we believe there is some truth in that, it is something of an oversimplification. Flexibility, however, is a very important part of being functionally healthy. Our lives are filled with tasks that require us to stretch, reach, bend, twist and contort our bodies. As we age, if we are not intentionally expansive in our movements, the body adapts and becomes less flexible. "I am as flexible as I need to be for what I do! ", you may argue. We might suggest that that is true for right now, but not for your future. Fall prevention is a very important part of our mission. The complications and costs (and we're not just talking money), personally and nationally, when elderly individuals fall are huge. The standing-balance exercises above will help you to become much more attuned to becoming unbalanced and give you a much better opportunity to respond appropriately but when you are walking or navigating terrain which is irregular your whole body flexibility is crucial. Did you know that when a healthy person stumbles and becomes unbalanced, in order to find their centre and regain their balance as they take a correctional step, they twist their torso. They are able to rotate the top half of their torso in a different rotational direction to their pelvis. As we age, this ability to rotate the torso independent of pelvic movement diminishes unless we pay attention to it. Being unable to rotate leads to a person stepping again and again more quickly in the same plane, speeding up as they try to enable their feet to catch up with the fall. 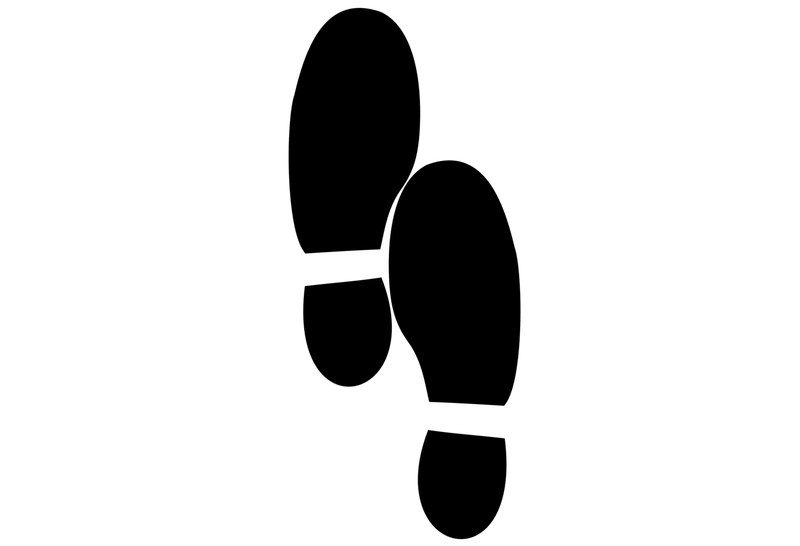 This can sometimes lead to a person falling at a much faster pace and increasing the likelihood of injury. This test should be performed very slowly and gently. At no point should you experience pain, moving slowly will allow you to notice discomfort. If you experience any discomfort, do not push any further. a. Stand with your feet facing forwards, shoulder width apart, with a very gentle bend at the knee. b. Keep your pelvis and hips fixed, facing forwards. c. Lift your right arm up so that it is horizontal and point your finger. d. Slowly rotate the top of your body to the right (DO NOT ROTATE YOUR PELVIS AND HIPS). e. Rotate as far around as you can and make a note of how far around you are able to point, ensuring your pelvis hasn't rotated at all. f. Repeat by rotating left and pointing with the left arm. Performing this exercise in front of the mirror may help you to see how much rotation you can achieve. If your rotation is allows you to point behind you, that's good. If it is limited to only a few degrees, you may want to look into a stretching regime which will help you regain some of that important movement. Assessing a person's walking speed is an excellent way to get an overall idea of how well they are functioning biomechanically because there are a lot of different physiologic systems which have to work together in harmony. To walk at a certain speed requires the complex integration of all three of the above elements: strength, balance and flexibility. Professor John Young, believes the best single-test to assess an elderly person's frailty level is to time them walking 4m. ​If a person takes more than 5 seconds to complete the 4m distance, it would indicate an increased potential for future difficulties, such as falls and mobility challenges. a. get a tape measure and mark out a 4 metre length on a flat floor. b. ask a friend to record the time it takes to cover the 4m distance. If it takes you more than 5 seconds to cover 4 metres and you have no previous or underlying biomechanical issues, such as an injury or joint problems, you should seek the help of a physiotherapist or your doctor for advice and guidance. John Young is Professor of Elderly Care Medicine at the Academic Unit of Elderly Care and Rehabilitation at the Bradford Institute for Health and Medicine, Leeds University. He was also NHS England's National Clinical Director for the Frail Elderly and Integration. There are lots of other tests that can be done to assess your functionality.